The recreated 22nd Regiment of Foot is proud of it's links to the modern 22nd (Cheshire) Regiment in England. 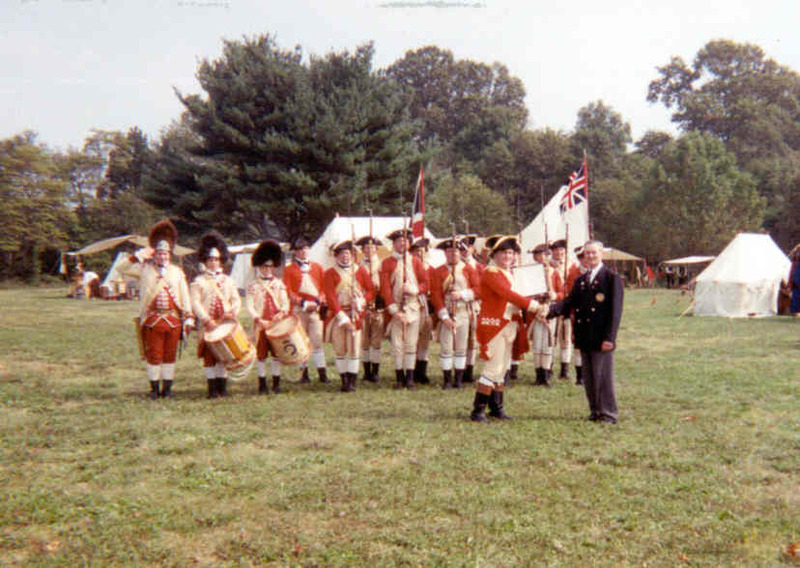 Members have traveled to England to visit the Regiment at it's headquarters in Chester. The most notable trip being for the Regiment's Tercentenary celebration in 1989. Many of us correspond with veterans and historians of the Regiment and we are all lifetime members of the Cheshire Regiment Association. A regimental coat now hangs in the Cheshire Military Museum donated by the American Regiment. In 1998 we received a Tercentenary plate from a representative of the Regiment which listed all the battle honors of The Regiment for the first 300 years. We also take great pride in the Cheshire Regiment having remained unamalgimated and uniquely Cheshire. 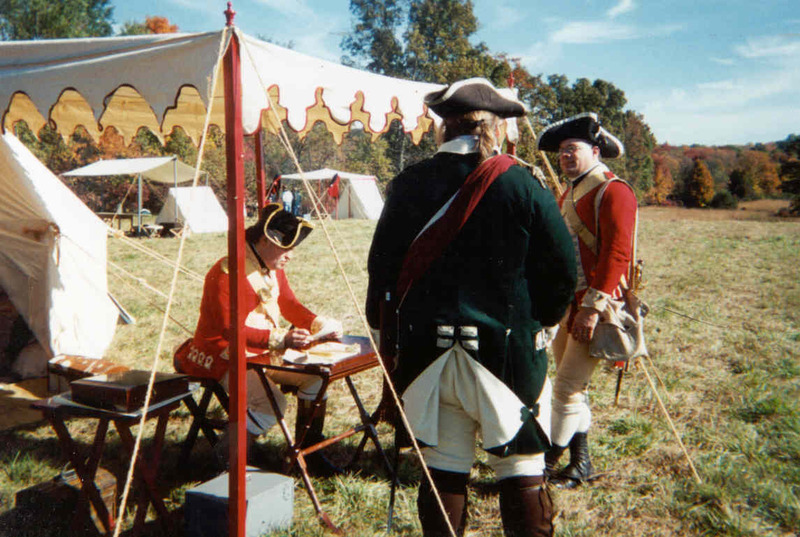 The charter of The Brigade of The American Revolution is to portray the life and times of the common soldier of The American Revolution. To that end, we in the 22nd portray The Colonel's Company, (Gage's Company). This company is a battalion or "hat" company. All the men wore cocked hats as opposed to the specialized headgear of the Light Infantry or Grenadiers. 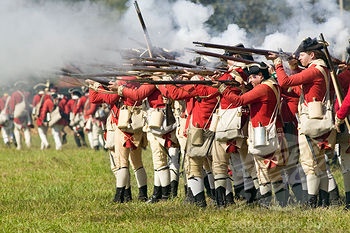 Of a twelve company regiment, ten of the companies would be hat men, making them more prevalent than the one company of Light Infantry or one company of Grenadiers. Captain Tom Vilardi commands the 22nd by popular consensus and not just because he has a coat with gold buttons on it. Tom has over twenty years of reenacting under his belt. 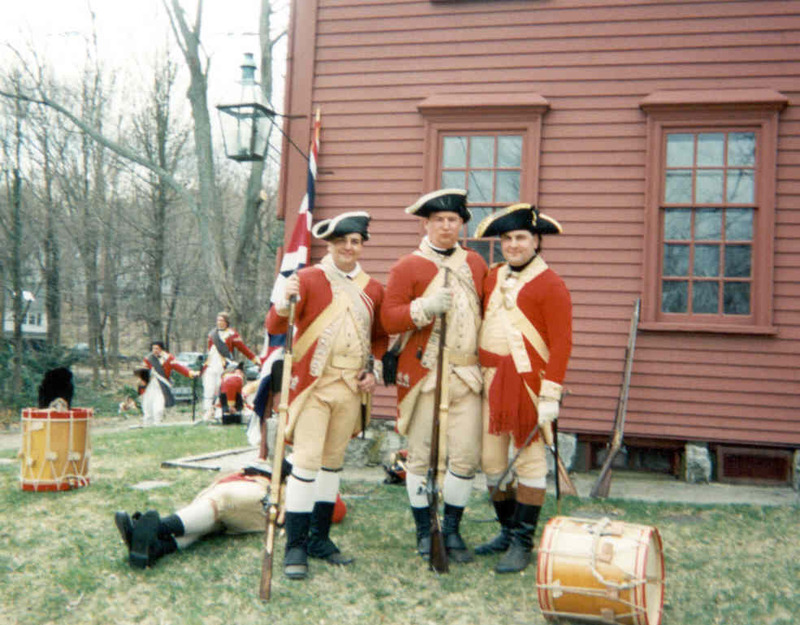 It is a lot of work running an 18th century unit, publishing a newsletter, taking care of insurance, watching the money, ordering the materials for uniforms etc. and still take care of modern day family and work concerns. Few cold do it better or, frankly, want to. Sergeant Steve Krentler is also in his post because he is the obvious choice. Steve also is a 20 plus year veteran of reenacting. We like to call him the Eternal Sergeant as he seems at home as an NCO in any recreated unit he is in. He is very fair and hates us all equally. God help you if you screw up one of his formations.